With the hours winding down before Santa Claus makes his way down chimneys across the world, join us as we look back at some of the most popular toys and games of all time, as well as the patents behind them. Christmas is upon us, and most of the world celebrating this holiday have either settled into a comfortable state of waiting for Jolly Old Saint Nicolas (a.k.a. Kris Kingle or Santa Claus) to arrive, or are growing ever more anxious to find the last few stocking stuffers, Christmas gifts or dinner items they need. Roast Beast anyone? Although the snow and ice come and go every year, as the tale of Frosty the Snowman reminds us, the radio always seems to play the same, familiar music every Christmas. While much of the Christmas season is familiar and clad with tradition, every new Christmas season will have its own series of hot new gifts, especially toys for the littlest members of the family. Since America’s earliest days, many creative and innovative toys have come through the consumer marketplace. Many becoming so iconic they have become household names and synonymous with a moment in time for America’s youth. Some of the most popular of these toys that continue to show up year after year under Christmas trees were patented. Of course, it wouldn’t be a traditional Christmas at IPWatchdog unless we spent some time profiling some cool innovations that relate to the holiday season. So today, I return to one of our all time favorite articles. Five years ago we published The Top 10 Most Iconic (and Patented) Toys and last year we published The Most Iconic (and Patented) Games. With Christmas firmly in mind, it is time to revisit and expand these lists. When initially published some truly iconic classic toys and games were inexplicably left missing. With the hours winding down before Santa Claus makes his way down chimneys across the world, join us as we look back at some of the most popular toys and games of all time, as well as the patents behind them. Our journey includes (in no particular order) iconic toys such as the Video Game Console, Barbie doll, Monopoly, Rubik’s Cube, Battleship, Super Soaker, Hoola Hoop, Slinky, Play-Doh, Easy Bake Oven, Game-Boy Frisbee, YoYo, Lego blocks, , Transformers, Tricycles, Bicycles, Scooters, Tonka trucks, Rocking Horse, Twister, Simon, Magic 8 Ball, Erector Set, Etch A Sketch, Bunch-o-Balloons and Mr. Potato Head. In April of 1973, the U.S. Patent and Trademark Office issued U.S. Patent No. 3728480, which is titled Television Gaming and Training Apparatus. Assigned to Sanders Associates, it lists Ralph Baer as the sole inventor. The patent claims an apparatus, used in conjunction with a standard television receiver, that generates dots upon the receiver’s screen which can be manipulated by a user. The patent further claimed the use of a joystick control to manipulate the dots on the screen. Although this may not look like the video game consoles that will be unwrapped this Christmas, this was the first of its kind and what created what has become a multi-billion in-home video game in industry. In 1971, Magnavox licensed the technology and in the summer of 1972 released its Magnavox Odyssey Home Video Game System. To switch between games, a user inserted a cartridge into a slot on a console, much like the popular Atari, Nintendo and Sega consoles that would come years later. Unlike those cartridges, which contained internal circuitry required to play a game, these cartridges served as jumpers which completed the circuit connection required to select a specific game; all of the Odyssey’s games came preloaded on the console’s internal circuitry, which included 40 transistors and 40 diodes. The Odyssey was a successful product with 130,000 were sold between the product’s September 1972 release and Christmas of that year. When the first model was discontinued in 1975, the Odyssey had sold a total of 330,000 consoles. For more information please see our Tribute to Ralph Baer. If you read the Barbie Wikipedia page it gives the credit to Mattel co-founder Ruth Handler, who on a trip to Europe came across a German toy doll called Bild Lilli. With the assistance of John Ryan, the page explains, Handler re-designed the doll and gave it a new name — Barbie. Ruth Handler is not mentioned on the first Barbie patent, U.S. Patent No. 3,009,284, which issued on November 21, 1961 (Figures from the patent shown right). Therefore, we will here say that the true inventor of the Barbie doll was John Ryan, a designer who worked for Mattel. In 2016 Barbie sales leaped ahead 15%, but they are down a nearly identical amount in 2017. Notwithstanding, it is impossible to argue with the long term success of Barbie since she was first introduced in 1959. And even with sales declining there is no doubt that many will awake on Christmas morning to a Barbie under the tree. The Super Soaker is one of the most successful toys of all time, selling in excess of $1 billion worth of product. Inventor Lonnie Johnson, a former United States Air Force engineer, was experimenting on a new type of refrigeration system when he conceived the method of using a pressurized water stream. He shortly thereafter conducted tests in his basement, built a prototype, and filed a patent application on his invention in October 1983. Ultimately he was issued U.S. Patent No. 4,591,071 on May 27, 1986. The invention in that patent was a toy squirt gun that shoots a continuous high velocity stream of water. It was the first of many patents on what would commercially become known as the Super Soaker®. A more advanced Super Soaker® from U.S. Patent No. 5,878,914, issued March 9, 1999. Success was not immediate, as is typically the case for independent inventors, but when success came it came big. Initially the toy was called the “Power Drencher” when it first went to market in 1990. After some tweaks and a name change, in 1991 $200 million worth of product flew off the shelves with units priced between $10 and $60 depending upon the features of the unit. Nintendo’s Game Boy hand-held video gaming system was a pioneer gadget in the video game industry, defining an entire portable gaming market for more than 20 years. In it’s initial 1989 release in Japan, the 300,000 Game Boy units manufactured for the launch sold out within two weeks. During it’s American launch later that year, 40,000 units were purchased on the Game Boy’s first day on the market. This patent, U.S. Patent No. 5,184,830, issued in February 1993 by the USPTO to the Nintendo Company Limited of Kyoto, Japan, protects the manufacture of the hand-held electronic gaming device known as the Game Boy. As the patent’s description states, the device was designed to be “sandwiched” by a user’s hands during game play. Images attached to the issued patent clearly show the iconic design of the grey brick with buttons, directional pad and dot-matrix LCD screen panel. Since its founding in 1932, the Danish corporation The Lego Group has been primarily involved in the creation of toys and playthings over the years. Despite some critical voices on the use of plastics instead of natural wood for children’s playthings, Lego began manufacturing plastic toys by the end of the 1940s. However, the interlocking plastic block the company released in 1958 and named the Lego exploded in popularity, eventually earning the honor of being chosen the “Toy of the Century” by both the British Toy Retailers Association as well as Fortune. Lego received U.S. Patent No. 3,005,282, on July 28, 1958, protecting the design and manufacture of their toy building brick in October 1961. As the patent states, the blocks are designed to connect through projections extending away from the block which can engage with protrusions on adjacent blocks. This design, also known as a stud-and-tube coupling system, allows children to create thousands of unique works with even just a few blocks. The yo-yo is a toy that predates any single company, and evidence of similar toys can be found dating back as far as 500 B.C. The American craze for the spinning toy can be traced back to the late 1920s, with the founding of the Yo-Yo Manufacturing Company by Pedro Flores, but the USPTO had been issuing patents to protect the manufacture and design of many yo-yos, whirligigs and “bandalores” for years. The term bandalore is used to describe the toy protected by U.S. Patent No. 59,745, issued in November 1866 to James L. Haven and Charles Hettrick, both of Cincinnati, OH. The invention is designed as two metal disks held together at the center by a clutch and rivet; the string is attached to holes found on either one or both of the metal disks. The patent discusses how this design enables the use of metal in the design, resulting in a higher degree of speed and momentum. The popularity of the Frisbee also extends further back than the company that helped make it famous, although the toy’s name has remained very similar the entire time. Pie tins manufactured by the Frisbie Pie Company of New Haven, CT, became an interesting toy for nearby Yale University students who would throw the tins at unsuspecting students on campus. One of the precursors to the modern Frisbee would come in the late 1950s, when Walter Frederick Morrison began developing the toy from plastic. U.S. Patent No. 3,359,678, issued in December 1967 to the Wham-O Manufacturing Company of San Gabriel, CA, protects the manufacture of a flying toy designed to reduce aerodynamic drag to be used in throwing games. The toy is designed to be held by a player with his thumb on the convex side of the disc and other fingers on the concave side. Force can be transferred to the disc when the user uncoils the arm holding the Frisbee and then snaps the wrist, causing it to fly. In 1946, American inventor Abe Bookman invented the design of a toy device known as the Magic 8 Ball. The design was conceived by Bookman’s brother-in-law, Albert Carter, who had the idea of creating and selling a fortune telling craft device. Interestingly, an 8-ball had been used to tell fortunes as a gag in the Three Stooges short film You Nazty Spy, which came out at least 5 years before Bookman and Carter developed their prototype. U.S. Patent No. 3,119,621, issued to Bookman in January 1964, is among the first patents issued to protect the design and manufacture of the fortune telling toy. This patent describes a toy containing liquid in which a buoyant indicator rises to a top window with a minimum of surface tension. This lower surface tension improves the visibility of the die and reduces its ability to stick against the internal walls of the 8-ball. Bookman went on to perfect the device in later years, as is evidenced by further patents he had received to protect Magic 8 Ball innovations. The Slinky is one of the most popular toys of the past 100 years, but its use as a children’s plaything was entirely accidental. Richard James, a mechanical engineer, had created a type of sensitive spring that could keep fragile equipment from breaking on a ship or ocean vessel. One day, James knocked a spring from its shelf and watched it walk down onto the floor. When he demonstrated this effect for customers of Philadelphia’s Gimbels department store, he sold hundreds of toys in minutes. The USPTO issued U.S. Patent No. 2,415,012 in January 1947 to Richard James, protecting a helical spring toy that can walk down an inclined plane or flight of steps without the application of external energy. The toy was designed to have a low natural frequency between 10 cycles and 100 cycles per minute. The patent also describes the importance of coiling the spring steel without substantial compression or lateral force tension to support the free movement of the spring. In its two decades as a private company, before being bought by General Mills in 1967, Kenner Products succeeded because of a corporate culture that focused on developing its own ideas rather than improving other toys on the market. Unlike many of its competitors, Kenner tended to create toys that mimicked the appliances that children would see their parents using. This culture led directly to the creation of the Easy-Bake Oven, one of the most popular children’s toys of all time. In the Easy-Bake Oven’s first year of existence, 1963, 500,000 units were sold to American consumers. In 1959, a French mechanic named Arthur Granjean exhibited a new toy that he had developed at the International Toy Fair in the German city of Nuremberg. He called his invention the L’Ecran Magique, or “The Magic Screen”. When no European investors lined up for his creation, he went to America where he was able to interest the Ohio Art Company in his design. After adding a few knobs to Granjean’s design, Ohio Art released the Etch A Sketch to much fanfare in 1960, a year in which this toy became a must-have as a children’s Christmas present. The original USPTO patent for this device, U.S. Patent No. 3,055,113, issued to Granjean in September 1962, protects a device on which a user can trace any number of designs and then wipe them out immediately whenever they choose. The toy consists of a fluid-tight case with a translucent screen situated on one side. An internal tracing stylus is controlled by a user through the knobs, scraping a metallic material away from the screen so as to create a traced image. The Hula-Hoop is one of the great “flash in the pan” toy stories of the past 50 years; after sweeping quickly to worldwide popularity, the novelty of this invention wore off for most within months, although the hoop does have its share of fanatics to this day. Another Wham-O product, the Hula-Hoop sold about 25 million units worldwide within the first four months of production in 1958. This patent, U.S. Patent No. 3,079,728, assigned to Wham-O co-founder Arthur K. Melin by the USTPO in March 1963, protects the manufacture of a hoop toy that a user swivels around his or her body. The weight and the diameter of the toy must be properly proportioned in order to maintain proper movement through coordinated action by a user. Along with its recreational potential, the health benefits of Hula-Hoop use because of constant motion and gyration are also noted in the patent document. In another case of unintended product use, a wallpaper cleaner developed by Kutol Products of Cincinnati, OH, went on to become one of the most beloved ways for children to express themselves artistically. In the early 1950s, Joe McVicker, a Kutol employee, shipped some of the cleaning compound to local schools after he found that it served as a good substitute for modeling clay. In 1956, McVicker decided to call the new toy product Play-Doh, and since its creation children have played with nearly 700 million pounds of the substance. The USPTO issued this patent to Joe and his uncle, Noah McVicker, in January of 1965. There is no illustration in this patent, which is unusual perhaps but not unheard of. The claims are directed to a “smooth and velvety composition of matter.” With compositions of matter (sometimes referred to as compounds) illustrations are not required. This patent protects a slow-drying plastic modeling compound which is clean, non-toxic, non-sticky and non-staining. In its earliest days, Play-Doh was concocted of mixtures consisting mainly of tap water and grain flour mixed in equal portions, with about a fair amount of common salt added as well. On top of this basic formula, a very tiny amount of chemicals would be added, which could include borax, iron free aluminum sulphate or deodorized kerosene. The inventor of what we know today as a Transformer is Hiroyuki Obara, who received U.S. Patent No. 4,516,948, titled Reconfigurable toy assembly on May 14, 1985. The patent explains that the toy assembly has foldable portions to allow the toy assembly to simulate a toy combination vehicle having a tractor unit and a trailer unit separately connected to each other. The toy when separated from the trailer unit is reversibly configurable into a robotic humanoid form. In addition to a line of toys, the Transformer toys have lead to a series of highly successful movies. The Transformer movie franchise began in 2007, and as of this writing, according to Wikipedia, the movie series Box Office has brought in $4.38 billion with a budget of $972 million. The top line Box Office will grow as the latest movie in the series — Bumblebee — has just been released for the holiday season. There is no doubt that Santa Claus will be leaving many a tricycle for good little girls and boys. These three wheeled bicycles are a virtual right of passage on the road to maturity. The earliest tricycle reference in an issued U.S. Patent is U.S. Patent No. 171,623, titled Improvement in Velocipedes, issued on December 28, 1875 (Fig. 1 of the patent shown to the right). Interestingly, when I searched this patent did not directly appear, but U.S. Patent No. RE9707 came up as the earliest mention of a tricycle. RE9707 is a reissue patent relating to the aforementioned ‘623 patent. Another interesting thing to note is the patent itself explains this is “an improvement in velocipedes of the tricycle variety”, which clearly suggests they were already known to exist. While the tricycles that Santa leaves this year under the tree won’t look too much like the one depicted in the ‘623 patent, they will still no doubt bring great joy to all the good little girls and boys who receive them! Incidentally, the term velocipede refers to a bicycle having two or more wheels that lacks springs. For more on bicycles please see The Evolution of the Bicycle: A Patent History. The earliest verifiable records of a modern bicycle comes from the German inventor Karl Drais. There are conflicting reports whether he applied for a patent for his bicycle, which became popular when it was introduced to France in 1818. There are reports that an American inventor, W.K. Clarkson, Jr., of New York, filed a patent for a similar invention. However, much of these records, if they existed, were destroyed in the U.S. Patent Office fire of 1836, the first major disaster to befall the patent office over the course of its history. Perhaps the earliest U.S. patent issued to protect something that we can envision as a bicycle was U.S. Patent No. 59,915, which is simply titled Velocipede, and issued in 1866. The velocipede (shown left) is the term used at the time to describe what we would call a bicycle today. The patent protects an invention consisting of two wheels and a mechanism for driving the wheels. There was a good deal of innovation in the field of bicycles during the late 1800s. U.S. Patent No. 415,072, entitled Tandem Bicycle, was issued to inventors William Starley of Coventry, England, and Herbert S. Owen of Washington, DC, in November 1889. Patent diagrams (see right) show a tandem bicycle assembly similar to the tandem bikes still sometimes seen today. For many it just wouldn’t have been Christmas during our youth without a miniature train running under the Christmas tree. I have great memories of my uncle setting up his village under the tree every year, complete with train tracks and train. 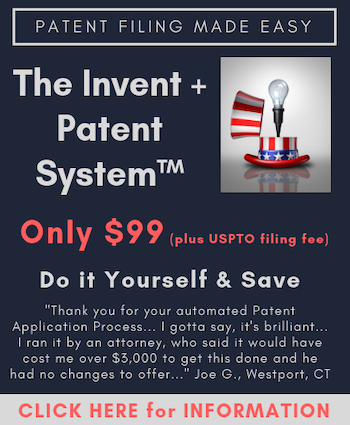 Inventor Joshua Lionel Cowen received U.S. Patent No. 1,534,303 for “new and useful Improvements in Toy Train Track”. Issued in April 1925, the invention related to toy railroad tracks with improved switching means, enabling the switching of the toy train from one track to another. The success of Lionel toy trains was in no small part due to the fact that Cowen successfully convinced store owners to set up elaborate train tracks in their stores in order to increase interest, and demand. It worked. By the 1950s, Lionel Corporation had become the largest manufacturer in the world. The first mention of a rocking horse in an issued U.S. patent was U.S. Patent No. 699,280, titled Traveling Rocking-Horse, which issued on May 6, 1902 (Fig. 5 of the patent shown to the left). The patent explains that the object of the invention is to provide a device for use by children and others “whereby the occupant or rider may with but a slight expenditure of labor propel himself from place to place.” Propelling one from place to place likely isn’t what we have in mind today when we think of a rocking horse, but this iconic device in one form or another finds itself in the hands of many a good little girl or boy on Christmas morning. The earliest example of a patent on a scooter I could locate dates back to August 21, 1917 and the issuance of U.S. Patent No. 1,237,969, titled Skee-cycle or scooter (Fig. 1 of the patent shown to the left). The ‘969 patent explains that the invention relates to a wheeled vehicle for juveniles of the type having a narrow frame or board that is supported on two wheels, one at the front end of the frame and the other at the back end of the frame. It is further explained that the rider will stand upon the board with one foot while maintaining his or her balance and propelling the device forward by pushing off the ground using the other foot. A scooter of more recent vintage, which is the type of scooter perhaps more likely to appear beneath a Christmas tree in 2017, is the sort of scooter described in U.S. Patent No. 5,927,733, titled Folding, portable, non motorized two wheel scooter, which issued on July 27, 1999 (Fig. 2 of the patent shown to the right). As the title implies, he ‘733 patent covers a folding, portable, lightweight scooter. There is a folding mechanism between the steering column assembly and the front yoke of the scooter, whereby the steering assembly can collapse and become secured in a generally parallel alignment with the main body. Scooters still remain a popular gift, and Razor scooter was the most popular Christmas gift in 2000. Indeed, as the scooter became increasingly popular Razor sued 16 competitors for patent infringement in 2000. The patent that was the subject of the Razor litigation was U.S. Patent No. 6,139,035, titled Brake device for a skate cart, issued to Taiwanese inventor Shui-Te Tsai on October 31, 2000, and later assigned to Razor USA. Of course, an even more modern version of a scooter is shown in U.S. Patent No. 8,738,278, entitled Two-Wheel, Self-Balancing Vehicle with Independently Movable Foot Placement Sections (Fig. 1 of the patent shown to the left) , and which covers a version of what has become known as The Hoverboard. The ‘278 patent claims a two-wheel, self-balancing vehicle that employs control logic that drives each wheel toward self-balancing in response to sensor data. Designed for ages ten and older, the ingenious system of small parts combine in numerous ways to create an infinite number of models. No doubt many an engineer and inventor first found their love for building and tinkering while playing endless hours with an erector set. Tonka Toys Incorporated made its name creating and selling miniaturized steel trucks and work vehicles as toy for children. A quick Amazon.com search shows that there are hundreds of Tonka Trucks, whether it be the Classic Mighty Steel Dump Truck, or the Steel Tow Truck, or the Steel Cement Mixer, or even the Steel Bulldozer. Perhaps Bunch-o-Balloons is not “iconic” yet, but it is well on its way to being rightfully placed on this list as one of the most popular toys in the world. And the invention deals with water balloons, and you don’t get much more iconic than water balloons. Independent inventor Josh Malone got tired of how slow it was to tie water balloons one-by-one for his eight children. There was always a line of kids waiting and he just couldn’t go fast enough. So, he decided to come up with a way that you could fill multiple water balloons simultaneously, and he succeeded. The invention that is the subject of U.S. Patent No. 9,051,066, is simply titled System and method for filling containers with fluids. Issued in June 2015, this and his several other patents have already been thoroughly litigated after having been knocked off by Telebrands. Malone’s patents have held up in ever federal court, and at the Patent Office. It is easy to understand why. A device and method for filling 100 water balloons in 60 seconds is truly innovative, and why this is the most popular toy in the world during the summer months. Costco has them on pallets right at the front of the store, and they fly off the shelves. Mr. Potato Head is one of those toys that virtually every kid has had or has played with at one point in time. The toy was invented and developed by George Lerner in 1949, and first manufactured and distributed by Hasbro in 1952. Some fun facts about Mr. Potato Head include: (1) On April 30, 1952, Mr. Potato Head became the first toy advertised on television. (2) The original Mr. Potato Head cost only $.98. (3) In the first year the Mr. Potato Head kit sold one million units, making it a huge success. Although not relating to the original Mr. Potato Head, Lerner did receive U.S. Patent No. 3,660,926 on May 9, 1972. The invention related to a toy capable of being easily assembled by a child. The components were provided in a metallic container or can, and the decorative elements were magnetic and attached to the can. It doesn’t seem that this version caught on quite like the original, but with this clearly related patent to Lerner and true iconic status of Mr. Potato Head, an exception had to be made. Updated December 24, 2018 at 2pm EST to include Lionel Trains (see comments #2 and #5). There are currently 7 Comments comments. Join the discussion. Many thanks indeed for this interesting collection of patents – I have to create a drafting problem for students at Bournemouth University and this set of patents is inspirational. It remains, only, to express good wishes to Gene, Renee and all the authors, commentators and readers of IPWatchdog for a very merry Christmas. US1690448 was the one from my childhood (“Track for toy trains”). How many engineers started their lifetime career choice with that one? Happy Festivus to all ! Gene – thank you for this wonderful (nice) list of toy inventions. Glad to see that (naughty) epurchase within a virtual game didn’t make your list 🙂 I teach a fitness class weekly and during the warmup I usually say a few words about something fun so if you don’t mind I’ll discuss your list and point interested parties to IPWatchdog.com for more details. Merry Xmas to the team! A great selection of classic toys (other than Monopoly which I refuse to play anymore). You already found a hole in the line-up. Thanks! Seriously, that patent was not one I intended to include, but I did intend to include U.S. Patent No. 1,534,303 to Joshua Lionel Cowen. I’ve added that. It was an oversight on my part. It is now included. One of the fantastic take-aways worth mentioning here is that ALL of these patents are for games. When one considers that even serious-minded utility patents are under attack in a system that would deny eligibility based on extra-statutory (NON-words of Congress), pause and consider that THESE patents are for the simple utility of enjoyment! 2) the invention can be put into at least one of the statutory categories. Great collection. I will refer the next inventor that asks me if there game is patentable to this article.